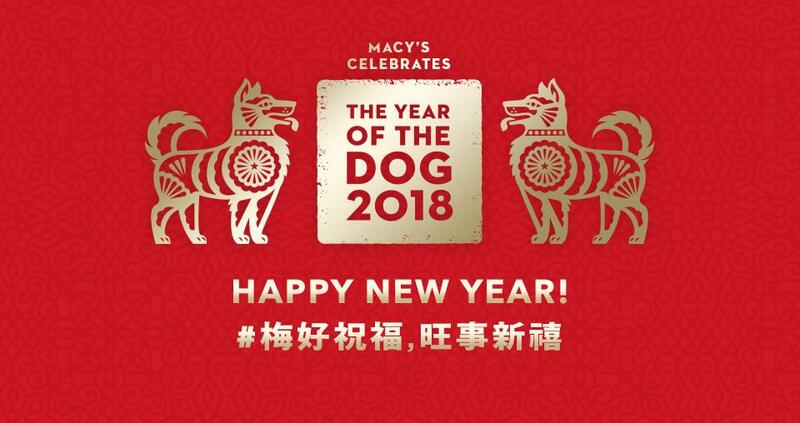 This Chinese New Year is celebrating the Year of the Dog in 2018 and to celebrate the Lunar New Year, Macys.com is offering each of us some beautifully unique selections, as well as free beauty gifts. The 2018 Lunar New Year takes place on Friday, February 16, 2018, which marks the end of the Year of the Rooster and the first day of the Year of the Dog. You may remember in 2017 that the Year of the Dog started at the end of January; that’s because the Chinese New Year takes place on a different date based on the lunar calendar. You can actually be part of Macy’s Lunar Year kick off at the cosmetics department on the main floor of Macy’s Herald Square in New York on Thursday, February 8 from 1:00 PM to 3:00 PM. Ring in this joyous occasion with scheduled performances music and more! You can also try your luck with their red envelope giveaways.